Lavinia Arcuri of Medford, 44, lost control of the vehicle and struck a utility pole, officials say. 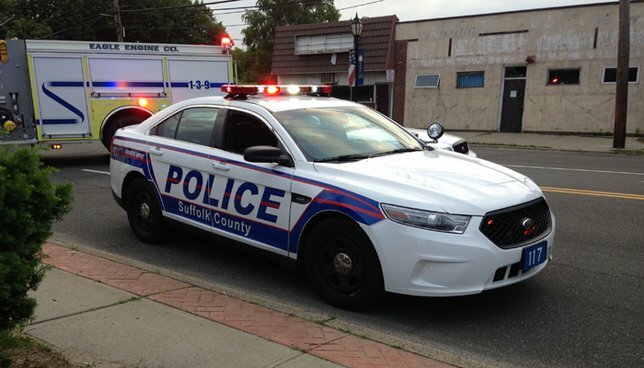 SCPD report a single-vehicle crash that critically injured woman in Patchogue. Patchogue, NY - Sept. 28, 2018 - Suffolk County Police Fifth Squad detectives are investigating a single-vehicle crash that critically injured woman in Patchogue on Friday, September 28. Lavinia Arcuri was driving a 1995 Jeep Grand Cherokee northbound on Waverly Avenue when she lost control of the vehicle and struck a utility pole near Gateway Boulevard at 7:07 a.m.
Arcuri, 44, of Medford, who was alone in the vehicle, was transported to Stony Brook University Hospital where she was listed in critical condition. The vehicle was impounded for a safety check. Detectives are asking anyone with information on this crash to call the Fifth Squad at 631-854-8552. Subject: LongIsland.com - Your Name sent you Article details of "Authorities Report Woman Critically Injured In Patchogue Single-Vehicle Crash"